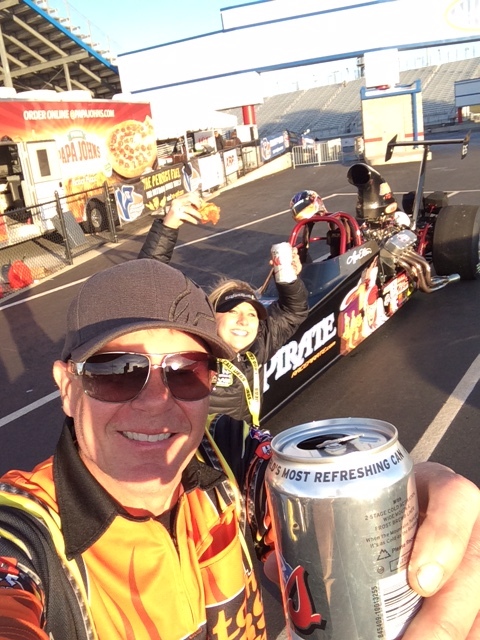 Madison, IL - Robin Samsel and Chris Foster scored in the alcohol classes at the NHRA Lucas Oil Drag Racing Series North Central Division All-American Hot Rod Showdown at Gateway Motrosports Park. Madison, IL - In the final results from the AAA Insurance NHRA Midwest Nationals and the Lucas Oil Drag Racing Series, David Rampy claimed victory and took home is his 99th NHRA national event win this weekend at Gateway Motorsports Park. Madison, IL - The other drivers visiting the winner’s circle were Tyler Caheely in Super Stock, Brett Speer in Stock Eliminator, Rock Haas in Super Comp, Jeff Webb in Super Gas, David Rae in Super Street, Joey Fuesting in Super Comp Shootout, Steve Hoyt in Super Gas Shootout, and Matt Ball in Super Street Shootout. Madison, IL - Shaun Vincent and Tyler Wudarczyk rolled into the winner’s circle Sunday evening and celebrated with their teams, as the Lucas Oil Drag Racing Series concluded at the AAA Insurance NHRA Midwest Nationals at Gateway Motorsports Park in Madison, Ill.
Madison, IL - In the Top Dragster final round presented by RacingRVs.com, Matt Driskell, Wellsville,Kan., got off the line first recording a victory pass of 6.322, 212.23, soundly defeating Jeff Strickland, Red Bay Ala. 6.421, 199.85. Madison, IL - Other winners this weekend were Bryan Merkle beating Daniel Condon in Stock Eliminator; Jeremy Demers knocking out Dusty Meyer in Super Comp; Corey Bentley won in Super Street over Marc Erickson; Les Feist defeated Shanna Snyder in the Spitzer Race Cars Top Dragster; and Don O’Neal took out Joseph Mohana in the Brodix/Steve Schmidt Top Sportsman. Madison, IL - Craig Bourgeois scored his 4th national event win in Comp Eliminator while Luke Bogacki picked up his 11th national win at this weekend’s AAA Insurance NHRA Midwest Nationals at Gateway Motorsports Park outside St. Louis as experienced racers dominated the winner’s circle. St Louis, MO - Watch this weekend as the PDRA heads to Gateway Motorsports Park in St Louis, Mo. 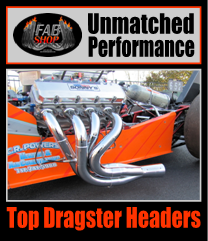 Watch as some of the Midwest's Top Dragster Racers compete for what is expected to be one of the year's fastest fields. Madison, IL - Phillip Oakley was also looking to repeat his win from a week ago as he faced off with John Strassweg in Top Dragster. Oakley was out first but Strassweg was right behind him and took home his first national event trophy with a 6.607 second lap on his 6.55 dial at 189.42 mph. Oakley slowed to a 6.885 in his loosing efforts.